What does the term “great storytelling” mean to you? For many, it evokes names like Hemingway, Austen, Steinbeck, or Joyce. What probably doesn’t come to mind are titles like Star Wars, Mass Effect, Final Fantasy, Sherlock, or The Dark Knight. Literary classics, these titles are not, but I’m here to reveal a dirty little secret about all the stuff your mom and your teachers told you was “trash”. Deep within their nerdy exteriors, these video games, movies, and TV titles are brilliant pieces of storytelling. Nerds around the world, rejoice. But before we go any further, some quick, informal definitions. Trash: media you want to read/watch/experience. Classics: media you’re supposed to want to read/watch/experience. Now, at first glance, this post might seem to be nothing more than unsolicited advocacy for dorky stuff. After all, if they sit around playing video games and watching movies all day, what could these nerds really be learning about story structure? Wouldn’t story be better learned by studying the classics? Well, the fact is, nerds do one better than study stories. They are constantly immersed in them. He’s Sherlock Holmes (Sherlock, BBC), Smaug (The Hobbit), and Kahn (Star Trek). It’s safe to say Benedict Cumberbatch has the market cornered on nerdom. I’m a writer. I wasn’t an English Major, and I never liked diagramming sentences. All I ever really knew was that I liked stories. All those years of watching Star Wars: A New Hope, I had no idea I was secretly learning the classic Hero’s Journey monomyth. And as for video games, playing Mass Effect is a lesson in character development if ever there was one. And I dare you to play Final Fantasy X without developing deep, personal connections with every one of the characters—not to mention learning a thing or two about foreshadowing. Three episodes of the BBC series Sherlock, and you’ll never look at the concept of suspense the same way again; same with The Walking Dead. And don’t even get me started on The Dark Knight. That movie will teach aspiring storytellers everything they need to know about pacing, and the use of the archetypal Shadow Character is nothing short of eloquent. Norman Reedus of The Boondock Saints and The Walking Dead fame. Don’t mess with Daryl Dixon. I’ll be the first to admit: there are plenty of nerd-centric titles out there whose merits have everything to do with fun and fairly little to do with story structure. (In other words, your mom wasn’t wrong about everything.) Still, when it comes to experiencing great creative material, I’m of the opinion that reading the “right books” is overrated. Don’t get me wrong! The classics are wonderful. Shakespeare and Homer are peerless. Steinbeck and Hemingway rank among my very favorite authors. Required reading should probably stay required. I just hope if you didn’t undergo any life-changing experience from reading The Catcher In The Rye, that you find something else that means as much to you. Here’s the take-away. If you like something, odds are, you like it for a reason. Joseph Campbell said to follow your bliss. Being a “nerd” is all about finding what you like and being passionate about it, whatever that may be. I read what I like, and I write what I like. I hope you like it, too. - Benedict Cumberbatch and Cate Blanchett speaking at the 2014 San Diego Comic Con International, for "The Hobbit: The Battle of Five Armies", at the San Diego Convention Center in San Diego, California. Photo taken by Gage Skidmore. 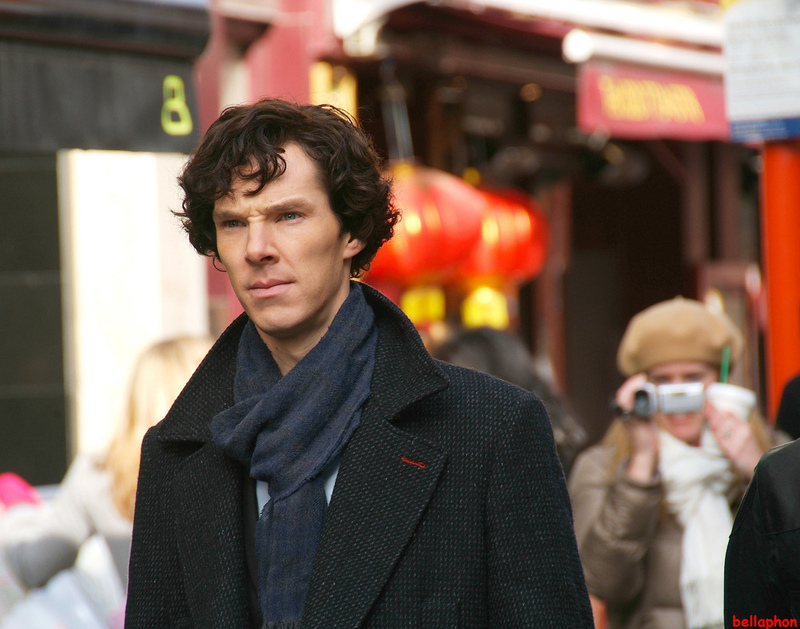 - Benedict Cumberbatch on the set of Sherlock. Photo Courtesy of Fat Les (bellaphon) from London, UK. 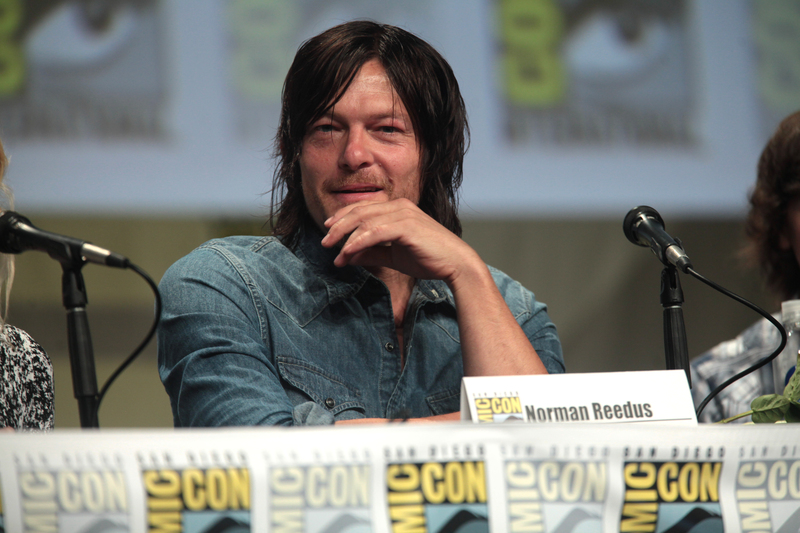 - Norman Reedus speaking at the 2014 San Diego Comic Con International, for "The Walking Dead", at the San Diego Convention Center in San Diego, California. Photo by Gage Skidmore. Posted in Movies, Reading, TV, Writing.Tagged books, classics, comic con, literature, nerd, reading, star wars, story, the walking dead, video games, writing. I know it’s not really in tune with the point you are making, but I still feel as though there is some resonance there: a scriptwriting teacher back in school told us that we may not view typical Hollywood films as particularly worthy of our attention, but the writers of them absolutely know how to structure a story. The more I learn about story, the more surprised I am at how well-structured movies tend to be… I’ve also learned to spot wearisome plot devices a mile away. Good for learning what to do AND what NOT to do. Thanks for the comment! Excellent point, and well said! I love video games and movies that have great story. If the story isn’t good, it’s not worth playing/watching. I am an English major, so I’ve read all the classics. I don’t like most of them. I can’t stand stuffy Victorian literature or the classic love story. Lord of the Rings on the other hand is one of my favorite stories. So is the Star Wars series, the Inheritance Cycle and the Hunger Games trilogy. My cousin and I just watched my brother play through The Last of Us, which is an AWESOME game and one of the greatest post apocalyptic stories I’ve seen in a long time. My professors would probably hate me for it, but fantasy and science fiction just get my attention so much better than the classics. Of course there are exceptions; I’m also a total Shakespeare nerd and Hamlet will always have a special place in my heart.